Image Courtesy of marin / FreeDigitalPhotos.net Enjoy a joyful day spa experience at home, and even for a fraction of the cost. Many day spas require bookings at least six weeks in advance, even for a half an hour massage that will set you back at least around $100 in luxurious surroundings. These experiences are priceless, yet for those of you lovely women who do not have the time and/or funds to enjoy such experiences; you can create equal amounts of (if not more) joy at home. Yes, you can easily create a day spa experience at home on a budget. Firstly, I don't know about you, however enjoying a lovely, warm bubble bath at any time of the year is the epitome of joy. In any role where direct people contact is involved, whether you work for someone else and/or in your own business; you need water as a cleansing property. Having a bath is a way of cleansing. You can use body wash, or those luxurious bath bombs that have flowers in them to create that day spa feel. Ensure you have a few candles, even if they're tea lights. Ensure you engage in the above activity in luke warm water, and darkness (night time) has reached your domain. Play some soothing background music. Maybe you might be charging your iPhone or similar smartphone device. If so, I highly recommend you to download an app called Koffee, and you're then allowed to listen to some coolest chill out songs for free while you soak the day away. If you do not have a bath at home, a tub to soak your feet into with bath salts is the next best thing. Trust me, your feet will feel super, silky smooth. This definitely brings joy. A joyful day spa like experience in the home also comes from painting your own nails after having a bath. 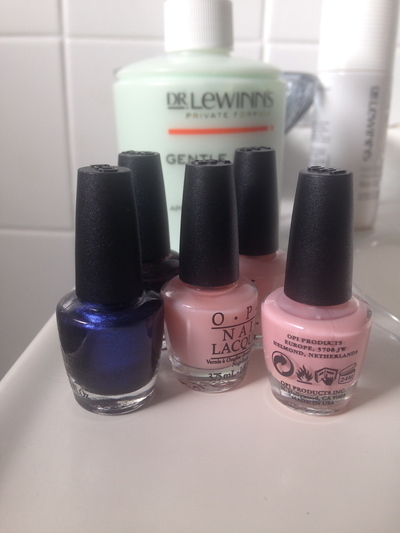 The OPI nail polish range comes recommended, and this brand of nail polish is what the nail salons use. If you love massages, there are kits available for that; otherwise a massage chair is great. If not, having a pet on your lap is also joyful. Cheers to a joyful day spa experience at home, and even a bottle of bubbles at home will still cost you a fraction of the price of such in an actual luxe day spa.